aser spine surgery is often used in conjunction with minimally invasive spine surgery to alleviate pain caused by bones compressing on nerves, spine tumors and herniated discs. Instead of using tools such as a scalpel to perform incisions, with laser spine surgery a state-of-the-art laser is used to remove tumors. It is important to understand other traditional surgical instruments are used to remove bone and ligaments while the laser is only used for the tumor extraction portion of the surgery. Lasers have been used in surgery since 1973 and provide patients with a quick recovery time, less pain, and less blood loss. 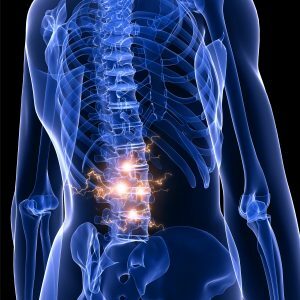 North Jersey Spine Group (NJSG) is comprised of board-certified neurosurgeons who are spine surgeons, physiatrists, pain management physician, and physical therapists. The collective spine team of NJSG forms the state’s only comprehensive brain, neck and back care center. With multiple facilities throughout northern New Jersey from Morris County to Hudson County and including nearby towns including Sparta, Saddle Brook, and Wayne NJ, patients are welcome to contact NJSG where renowned experts can best determine if laser spine surgery is the ideal option to alleviate their symptoms. While considered a minimally invasive surgery, laser spine surgery does require an initial incision to insert the laser into the spine. Get the answers to important questions regarding our renowned surgical and non-surgical teams, spinal conditions, symptoms, treatment options, second opinion, workman's comp and more.